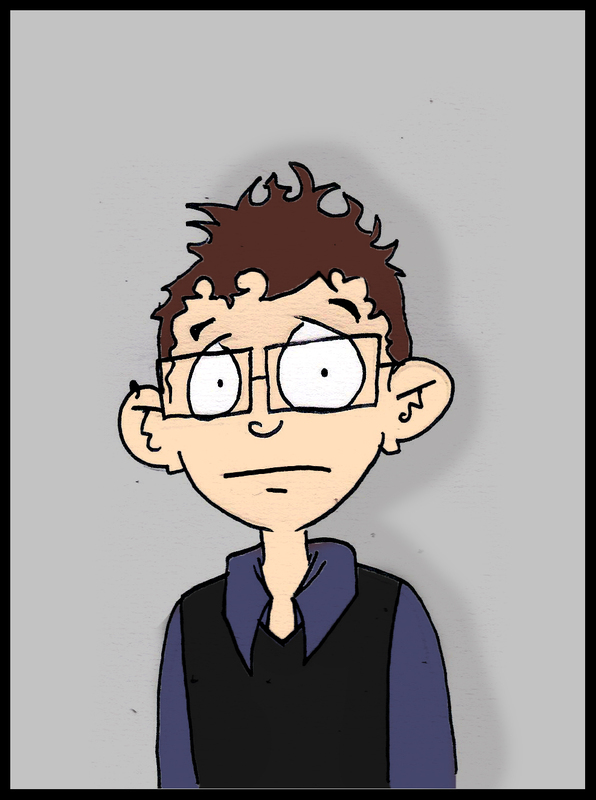 Roostertails is a weekly comic and pet project, exploring the life of a simple transguy transitioning in Auckland, New Zealand. Once I figure out exactly what this comic is I’ll be able to actually write this section properly. But since it’s been over a year since I’ve started it, I’m not sure that I will ever know what it really is…. other than procrastination, and a conduit for feeling good about transstuff. Ok, that’s enough for now – Roostertails updates Sundays…usually. I’ve read through all the comics you’ve posted on this blog and I love them! Thanks for sharing yourself with the world. I especially liked the “magically gendered” one, it made me laugh a lot. I hope to keep checking back here; your comic is light, a nice breath of fresh air. I’m enjoying it! Hey thanks heaps! The comic is bound to be here for a long time 🙂 where abouts are you now? Ach, I’m returned to the States now, a hemisphere away. Parents are still in Welly though! I’m a transguy from Nelson(one of two) XD And I have to say all your comics really make me smile. There have been several that I really related to. And I’m looking forward to more comics! It’s great to read your comics again, post-thatothermagazine – you’re pretty much awesome. Internet high five! Awesome! Yes, I miss the glory days of critic, alas. Internet thumbs up! I was wondering if I could pay you to do a commission. I’d give you a photo of my boyfriend and I, and you would do a comic-book version of us. A single image, for a price you set. Would you be interested? s.orchard gave me an error – after googling I tried shane.orchard… is this correct? Mine is julien$WEE$jmcardle.com, where the “$WEE$” is actually an “@” symbol. your comics are the bomb! they are funny-sweet-serious and i feel better after reading them. And I love the Rooster man! Thank you for what you did! Found your comicblog, it is awesome, high five. You and Joe have the cutest photos:). But you’re in Colorado?? Hope you are coming back this way some time. Anyway, drop me a line with your current email sometime. Hi, I just wanted to say as a fellow transman and artist, I absolutely love your work. Very relatable, and what isn’t making me roll on the floor laughing is making me choke back tears from remembering the same experiences. I really just wanted to say keep up the good work, you seem like a fantastic human being. Anyways, once again, thank you for the fantastic comics and contribution to the internets. I’ll be frequenting your site! PPS Oh, I’m gay/pan too, and also live with my partner, so your work is even MORE relatable. I just read all of your comics and I must say, they are awesome. You two are adorable (can I even say that without ever having met you?). I also really love the phrase ‘gentleman lover’. I’m going to tell all of my future partners to call me that. Thanks for making this comic. It’s nice to know that there are transguys out there doing cool stuff, even though we don’t live in the same country (I’m up in Canada) or anything. I hope you and Joe are doing well. or possibly Oliver. Haven’t decided yet. Thanks so much! And, yes, anytime anyone wants to call me/us adorable they are most welcome to! Ahh, I can’t believe I only just found this! I was on ‘genderqueer’ at Tumblr and clicked through to find this blog, and that it’s written by a fellow NZer – yay! This is great! I feel like I never see anyone in NZ’s queer community really putting themselves out there (probably because NZ itself is so small), especially from the trans community, and especially online, which is why I was so glad to find your blog. And you love Erika Moen! And Stephen Fry! Ahhh! You are wonderful! Anyway, I’m a student up in Wellington, at Vic, and quite heavily involved in the Women’s Group here and such, and also an ally for all things queer. ❤ Just wanted to say hi, and I look forward to more of your posts! Wow, this looks like a great idea I’ll definitely pass it around – awesome! Cheers heath, yeh genderfork has sent crazy amounts of people my way, it’s soooo cool! Your comic has made me walk around feeling happy for days! It’s really super funny, and it’s also been good to see some of the tricky stuff about life, esp trans life, presented in a way that allows for anxiety and sadness but is also so witty and quirkily cheerful. This blog makes me smile on days when I think nothing else can. Thank you for bringing your journey to us who need to laugh at ourselves sometimes. Oh wow thanks so much, that means a lot! My name is Elias and I’m a transguy from Sweden. LOVING your comics! Just found out about your blog the other day and already I’m spreading the word about your awesomeness to all my friends ;). I appreciate the Wolverine-pictures, he is my hero :). Rarr yay! Thanks so much! You have the best sign-off name ever! I’m at the University of Kentucky in the US. I’m the resource coordinator so it’s my job to acquire new media for the center and I thought this would be a cool thing to hang up. I’m trying to find new blogs and internet resources for people to check out. Sam- i’ve been reading your comics for a while now, and i just wanted to let you know that i think they’re absolutely fantastic! thank you so much for giving me something so great to read! also, i recently heard you on the Webcomic Beacon podcast (it was great, by the way), and it was strange- since i’ve been reading your journal comic for a while, i felt like it was someone i’m friends with on the show, and i had to remind myself that i just know you from your comics. i thought it was pretty funny. anyway, keep it up! i always love it when i see a new update!